Green Applications, one of the largest printers and distributors of textile merchandise and heat applied graphics on the East Coast, announced that Governor Terry McAuliffe will cut the ribbon at a celebration for the new 860-kW roof mount solar energy system atop their Gordonsville facility. The array will produce an estimated 1,026,446kWh per year, offsetting the building’s carbon footprint by 842 tons of CO₂ annually. 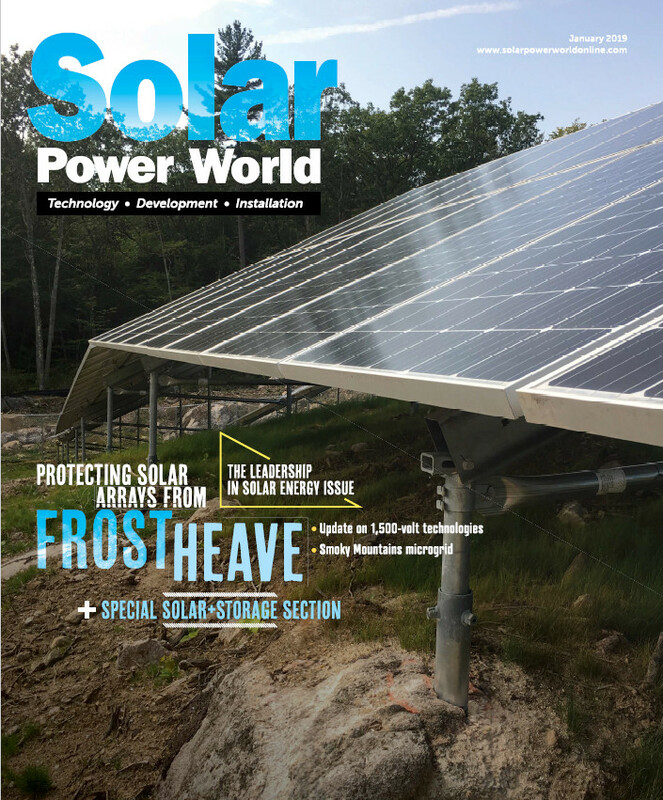 The system represents the largest net metered system in the state, the largest behind-the-meter Power Purchase Agreement (PPA) in Virginia since Dominion started the PPA pilot program, and a shift toward more of Virginia’s manufacturers embracing solar. Green Applications opened its 170,000 sq. ft. facility with a visit from the Governor in 2014, creating more than 300 new jobs for Orange County, Virginia. 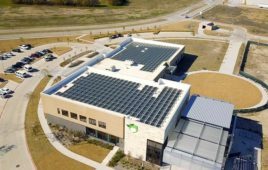 With environmental sustainability as one of its core values, Green Applications had always planned to incorporate renewable energy into the facility. Green Applications partnered with Charlottesville-based Sun Tribe Solar to find the optimal solution for both their sustainability and financial goals. Working with the VirginiaSAVES program, Sun Tribe Solar was able to help secure investors to move the project forward as a PPA. Established as a result of Governor McAuliffe’s Executive Order 36, the VirginiaSAVES program is sponsored by the Virginia Department of Mines, Minerals, and Energy (DMME) and provides subsidized financing for renewable energy systems and other qualified conservation purposes for private commercial, non-profit institutional, and local government entities in the Commonwealth. The Green Applications’ array consists of over 2,500 panels and will provide almost 50% of the facility’s energy usage. The system was designed, engineered, and installed entirely by Virginians who work for Sun Tribe Solar. Although Dominion’s pilot PPA program has been in effect for three years, Green Applications is the first large-scale commercial entity to subscribe to it and has the largest behind-the-meter solar PPA system in the state to date. The official ribbon cutting and celebration with Governor McAuliffe will be on January 4th at a private ceremony at the facility.